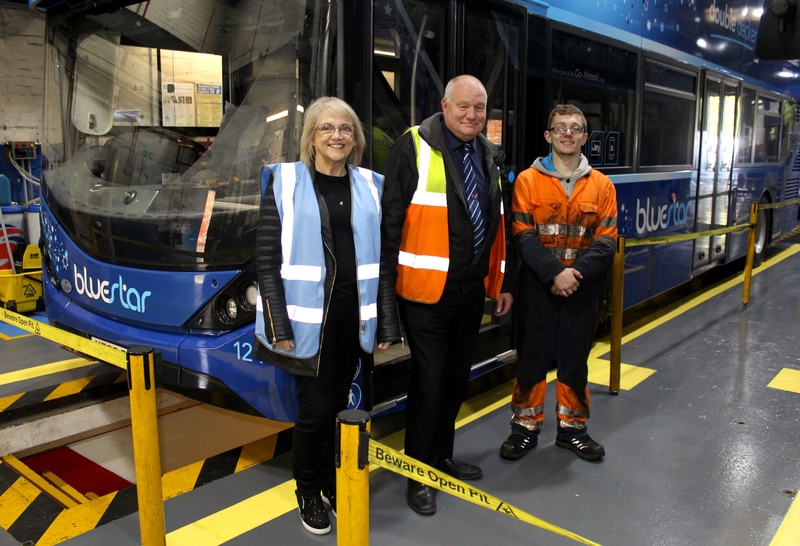 Aspiring engineer Luke Beard is celebrating this week - after being offered an apprenticeship by Go-Ahead Group owned bus operator Bluestar. Luke, from Lordshill in Southampton, was originally selected to spend time working for a year at the firm’s Eastleigh depot as part of The Rainbow Project. And now, his enthusiasm and dedication has bagged him the prospect of a successful career ahead. “We’re delighted by Luke’s efforts since he joined us last year,” said Bluestar engineering manager, Steve Prewett. “He has really settled in as a respected member of our team. Luke’s apprenticeship will include a three year NVQ level 3 in Vehicle Maintenance & Repair - with a fourth year training with the Bluestar engineering team. Established in 1981, The Rainbow Project provides a range of services to vulnerable and disadvantaged young people in and around Southampton. Working with local employers, it provides many with the opportunity of securing employment and progressing in a chosen career. The charity prepares candidates by giving them training and by helping them with personal presentation and other skills they will need in the workplace.